The dental office of Dr. Grant strives to create the most comfortable environment for your dental treatment. We understand why many may want to avoid the dentist, often waiting until their overall health is at risk before seeking treatment. Others suffered pain as adults or have yielded to past stereotypes to fuel anxiety. If this sounds like you we want to help. Whether you have been postponing a simple dental checkup, restorative care or a brand-new smile, now's the time to take care of yourself. Now is the time to move forward into a healthier future. Modern dentistry offers many new tools and options that make necessary treatments not only tolerable but even comfortable using Sedation Dentistry. No longer do you have to feel fearful. 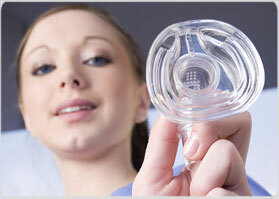 Patients at our office can choose from oral sedation ("the pill") or nitrous oxide ("laughing gas"). Simply tell us your concerns and we will recommend the anxiety control method that is right for you. We pride ourselves in your comfort. Experience the joy of an award-winning smile with the comfort that exceeds your expectations. Ask Dr. Grant or his staff for information regarding Sedation to see if this is right for you.